Hypersonic missiles were described as an exciting new business line for Northrop Grumman to consider, Kathy Warden, chief operating officer, told Wall Street analysts during a conference call. Warden, who was recently tapped to become chief executive when current CEO Wes Bush retires next year, was detailing the benefits of Northrop Grumman’s $9.2 billion purchase of aerospace and technology company Orbital ATK. The deal was finalized in June. By considering the hypersonics market, Warden wasn’t just hinting at a business opportunity for Northrop Grumman to pursue, but she was acknowledging having received the signal sent from Congress and the Pentagon to the defense industry – develop hypersonic weapons. 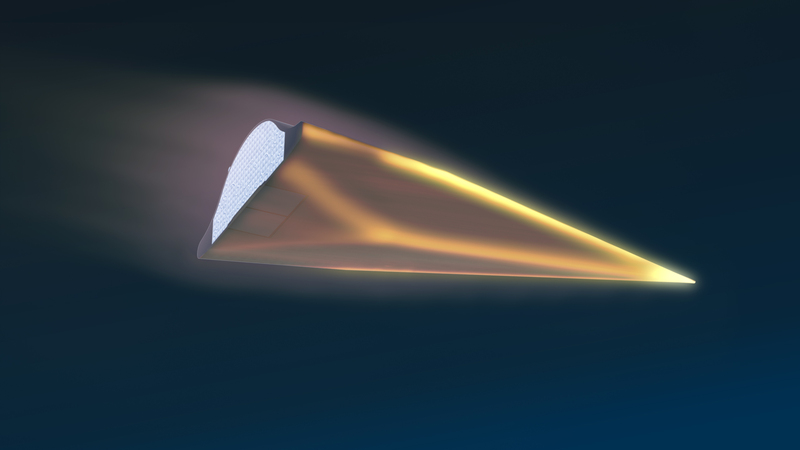 The need for hypersonic missiles is a relatively new demand signal coming from the Department of Defense, said George Nacouzi, a senior engineer with Rand Corp. who focuses on ballistic missiles and space technology. Nacouzi is a co-author of a Rand Corp. paper promoting a hypersonic non-proliferation treaty among the major developers of the technology. Hypersonic technology dates back to the dawn of the space age, Nacouzi said. When the Space Shuttle reentered Earth’s atmosphere, it was traveling at more than five times the speed of sound. Mach 25 is probably the upper limits of what physics will allow. 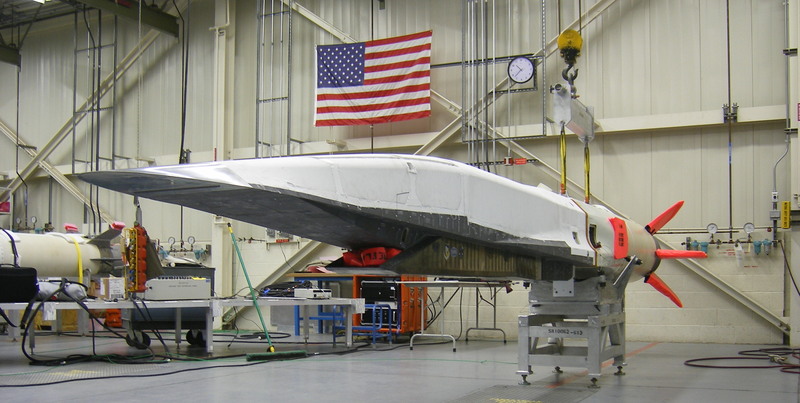 Hypersonic technology intrigues militaries, because in theory it allows weapons to move very quickly, below traditional radar range, and along unpredictable paths to targets, Nacouzi said. Current missile defense systems would be ineffective. However, creating useful hypersonic missiles is expensive and still perhaps a decade away. Plus, Nacouzi said with a vast nuclear arsenal and stealthy weapons, the U.S. has other deterrents. But Congress and the Pentagon have changed their focus for a variety of reasons, Nacouzi said. 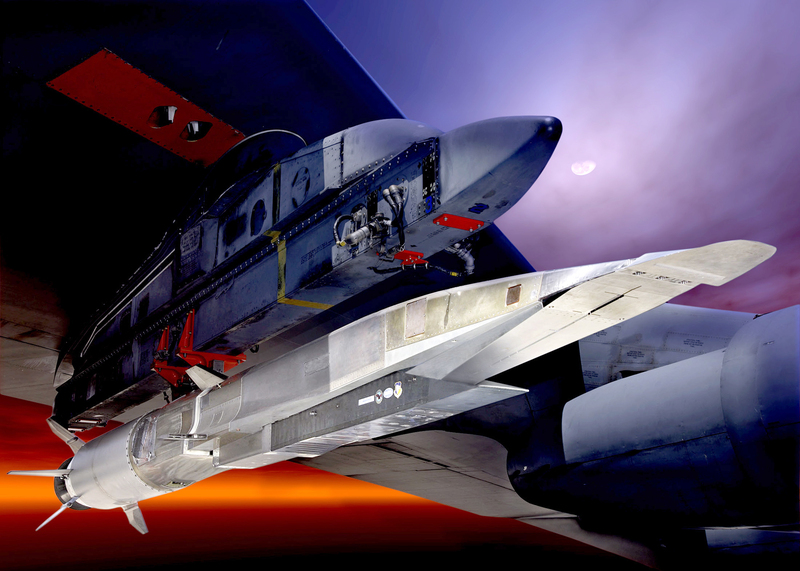 The interest in hypersonic missiles is partly caused by improved technology making the possibility of fielding such a weapon more likely to occur within a decade. The interest is also partly caused by recognition inside the Beltway of decisions being made in Moscow and Beijing. 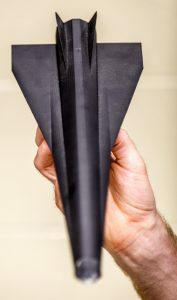 “The Russians have been working on hypersonics for a long time. By some measures, the Russians might be ahead of us, depending on who you want to believe,” Nacouzi said. Russia claims to have already deployed hypersonic missile systems in the south of the country, according to media reports of Russian President Vladimir Putin’s March 2018 State of Russia address. The Chinese also say they’re ready to deploy some sort of hypersonic weapon, Nacouzi said. The Chinese have only been working on hypersonics for the past seven or eight years, but Nacouzi said they’ve spent a lot of money on testing and research, made some advances, and claim to be ready to deploy some sort of weapon. Japan and some European Union nations are working on hypersonic technology intended for civilian uses, Nacouzi said. Based on their spending, he suspects this is indeed their intent, but he also doesn’t think any viable civilian uses will be created in his lifetime. So now the defense industry’s primary customer, the Pentagon, is interested in hypersonics, Nacouzi said it’s not surprising industry is responding. “Whether that’s justified or not, that’s above my pay-grade. I can understand why we would want to do that. It would give them an advantage if we didn’t have any hypersonic weapons. In the long term, that could be very painful for us,” Nacouzi said. A day after Warden told analysts about Northrop Grumman’s entry into hypersonics, Raytheon’s leadership was optimistic the increased focus from Congress and the Pentagon would provide a solid and growing revenue stream for the second half of this year and 2019, the company’s leaders said when discussing their second-quarter earnings during a conference call with Wall Street analysts. The demand signal is changing from a year ago, and the demand is global, said Thomas Kennedy, Raytheon’s chief executive, when answering an analyst’s question about demand for missile systems. European and Asian customers are increasingly interested in missile defense systems, Kennedy said, but in the U.S., the demand signal coming from the Pentagon and Capitol Hill points to Raytheon’s classified systems – a line of business including new technologies developed for the military. In December, Raytheon announced it had received a $20 million award from the Defense Advanced Research Projects Agency to continue developing hypersonic missile technology. However, Kennedy said since these contracts often include cost-sharing agreements with the government, they tend to have lower fee structures and lower earnings than Raytheon’s other lines of business.